What’s large, gray, and shingled all over? 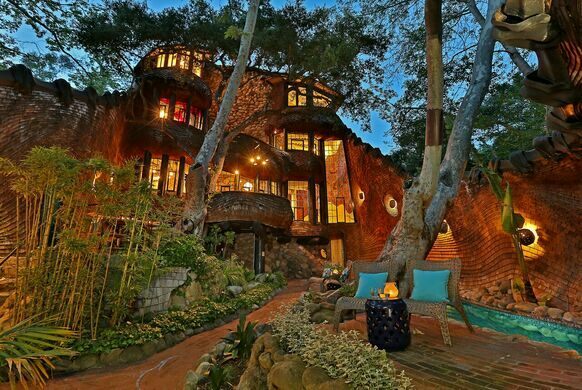 Mission Canyon’s very own “Whale House.” Camouflaged in the woods of a suburb of Santa Barbara and a stone’s throw from the city’s Botanic Gardens, this stunning home feels like a fantasy hideout come to life. The home of one of California's most important horticulturalists wilts amidst a lovely park. The ruins of the castle that chemicals built. The home, now available for vacation rental, is aptly named. 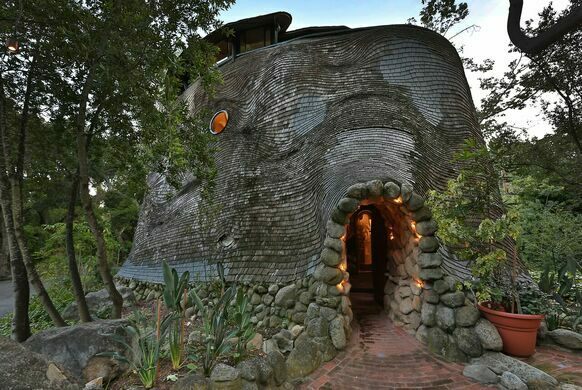 Its somewhat whale-shaped exterior is made up completely of undulating rows of gray cedar shingles. 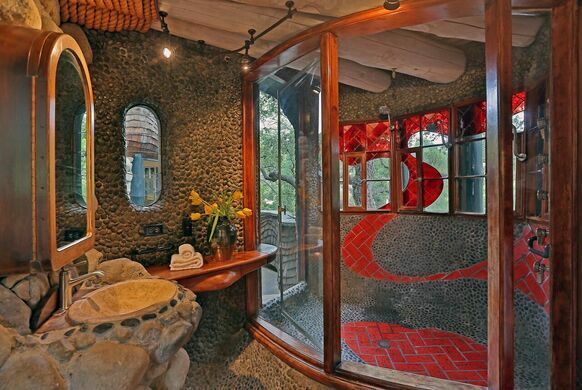 The unusual abode was designed by architect Michael Carmichael and completed in 1978 after three years and with the help of 20 craftsmen. The one-acre lot the Whale House sits on is so magical, it’s the main element that inspired Carmichael to experiment with organic design in the first place. 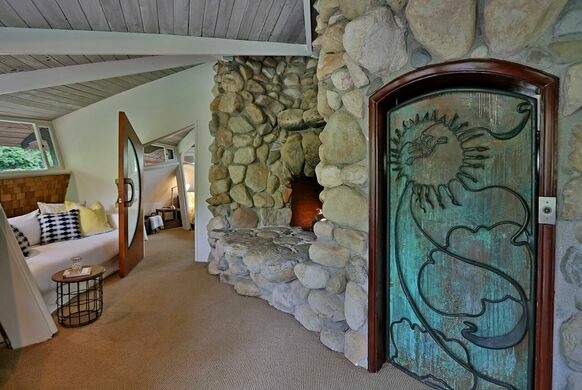 In the tradition of Spanish architect Antoni Gaudí, whose nature-based designs exemplified the Catalan Modernist movement in Barcelona, Carmichael was moved to design a home that did not detract from its natural surroundings, and in fact bowed to them. The Whale House has no flat walls and virtually no straight lines. Three bedrooms (which can sleep nine) and 3.5 bathrooms let people live comfortably within the belly of the sea creature. 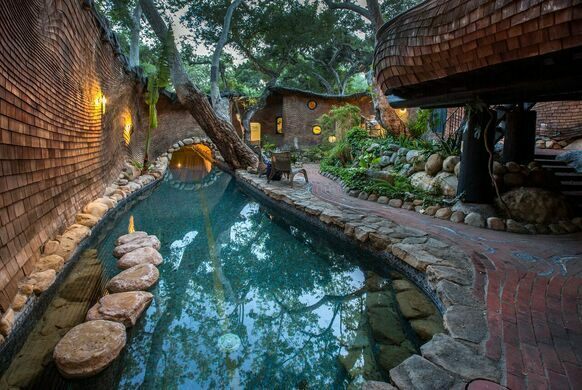 A 75-foot lap pool leads to the tail of the whale (read: a detached guest house). 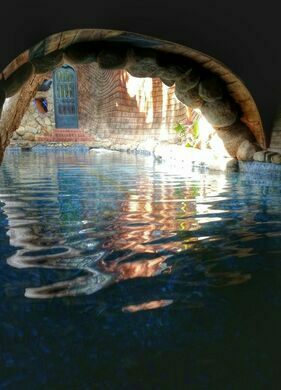 Further playing upon the home’s name, Carmichael littered the entrance with rocks to emulate a whale’s mouth full of teeth, and used a high-sitting stained glass window to serve as the mammal’s eye. See the house's website for rental information. 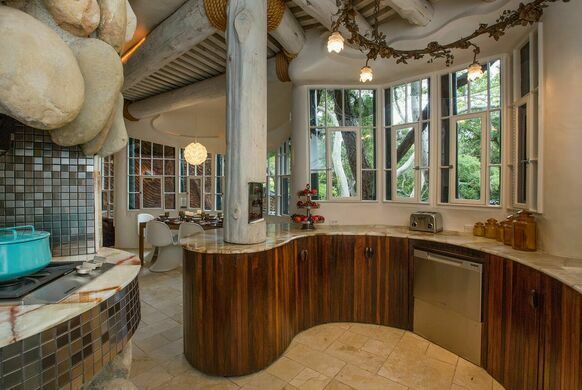 Another curvy Carmichael home, the Wave House, is located nearby in Goleta, California. 360-degree virtual reality chamber physically immerses scientists into their data. A popular winter vacation destination for migrating monarch butterflies.